LATEST INFO- I’ll Be Nigeria President Without Running For Election – Bakare – Royal Times of Nigeria. 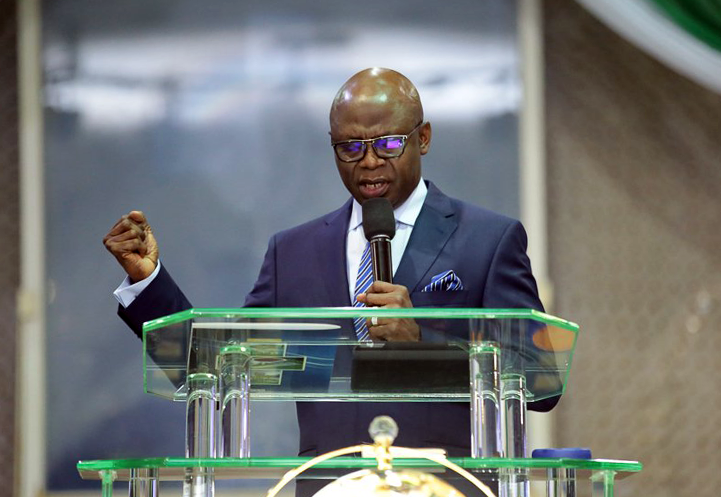 Serving Overseer, Latter Rain Assembly, Pastor Tunde Bakare has clarified that he will be Nigeria president without running for an election, saying that God who told him that he would be president will surely bring it to pass. He said the declaration was not a presidential campaign announcement, but an invitation to prayers sent out to fellow labourers initiated in our corporate destiny as nation builders. Bakare said, having established the fact that he was ready to follow God’s leading in the service of the nation, “let me reiterate that what Nigeria needs now is not another election but a return to the drawing board to renegotiate our union.